One of America's leading economists discusses taxes, growth, the minimum wage and basic fairness. 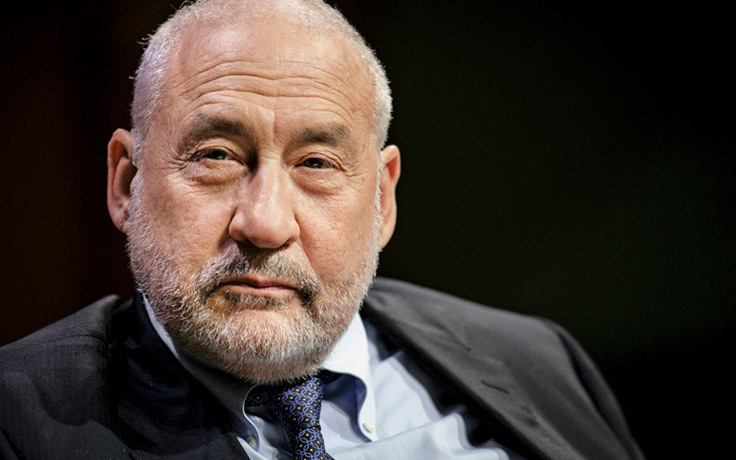 Columbia University economist Joseph E. Stiglitz won a Nobel Prize in 2001 for his work on how disparities in information shape markets. What makes him a favorite among Democrats, though, is his work on disparities in income. He has written two books about it: “The Price of Inequality” in 2012 and “The Great Divide” this year. A former adviser to President Clinton and to the World Bank, Stiglitz recently spoke by phone with Jon Healey, an editorial writer at the Los Angeles Times, about what is causing income inequality in the United States and what can be done about it. The following is an edited transcript of their conversation. Since “The Price of Inequality” was published, we’ve seen a bit more growth. Has that changed the picture? Not in any fundamental way. The first three years after the end of the recession, 2009 to 2012, were particularly bad, with 91% of the gains going to the top 1%. Things have been a little bit better, but not in a way that would change the picture in any way. Yet there is, as you note in your book, a profound belief in the United States that a rising tide can lift all boats. Why isn’t that happening as the tide is finally rising? One of the dramatic ways in which the economy is different in the United States today from what it was, say, before 1980, and different from almost any other country, is that in the past when productivity from workers went up, wages went up commensurately. Since the late 1970s, the productivity of workers has doubled, but wages have stagnated. So the fact that productivity is going up is saying that the economy as a whole is getting more productive, and GDP is going up, but the fact that wages are stagnating is saying that workers are not participating in this. This is an example of where America is exceptional. Not in a good way. The fact that the economic forces at play are similar in all the advanced countries says it’s something about the policies we put in place and how that affects the way our economic system works. Is there some solution in having greater competition for labor? I’m thinking about what happened as we approached 4% unemployment in the late ‘90s, where you did see a narrowing of income inequality. I would say it’s almost necessary, but it may not be sufficient. We measure unemployment ignoring part-time workers who are part-time involuntarily, people who have given up looking for a job, people who have gone on disability because they just can’t get a job. So the upward pressure on wages as the nominal unemployment rate has gone down has not been what you ordinarily would have expected. What about fiscal policy? The notion of redistributing income seems like an utter non-starter in this Congress. How should the case be made for doing that? Let’s begin by trying to create a fair tax system. It doesn’t make a lot of sense that the people in the top one-tenth of 1% pay lower tax rates on their reported incomes than those with lower incomes. Does it make sense that someone whose income derives from speculation in land pays lower taxes than somebody who works as a plumber? Speculating in land doesn’t create more land. The fact that you don’t pay taxes on capital gains until you realize the capital gains, that gives you an incentive to not realize them. It creates what’s called a lock-in effect, which distorts ownership. And with the “step-up basis” [a provision that allows heirs to pay taxes only on the gains made after an asset is inherited, ignoring increase in value from the time of purchase to the time of death], you could actually totally avoid paying the capital gains tax. Among the very top, where wealth is passed on from generation to generation, it’s one of the ways you get the perpetuation of inequality, the transfer advantage across generations. If you solve the tax portion of this, you still have the value portion — what people are paid for what they do. How do you address that? There are, again, many pieces to this. One, obviously, is minimum wage, stronger unions, stronger enforcement of labor protections. The second is very carefully thinking about the way we manage globalization, where we’ve effectively put workers in the United States in competition with low-wage workers with poor labor standards, bad environmental conditions, in developing countries. The third is the rules for corporate governance, which have the effect of allowing the CEOs to take a greater share of the corporate pie for themselves, leaving less for reinvestment — and less for workers. Finally, antitrust is important, because monopoly power works on the other side. It increases the prices that consumers pay. It’s very insidious, because they don’t see it directly as lowering their income. But it lowers their income relative to the cost of living, and that’s what they care about. Even if you have two or three firms in a market, it has the same effect. Market power, let me use that term. Market power [is being wielded] in a very large number of the sectors. That kind of market power raises prices. In the new economy, so much of what we’re producing is intellectual property protected by copyrights and patents, which effectively confer monopoly power. That’s right, and this has played into that. The extent is hard to ascertain. Where that’s very big right now is in the area of drugs. It’s a big issue with the new trade agreement that the president is trying to push forward. There you see it very explicitly, because one of the big battles in the trade agreement is between the generics and Big Pharma. The Office of the United States Trade Representative and the president are pushing for an agreement that increases the market power of Big Pharma at the expense of generics, the effect of which will be to raise drug prices and actually decrease innovation. The argument coming from the other side on minimum wage, and on a lot of these issues, is that the jobs pay what they’re worth. They pay very little at the minimum-wage level because there’s so little being added to the economy. I think that argument is not persuasive. Studies of what happens when you raise the minimum wage show that employment doesn’t go down in the way that many people had thought. The better studies actually gave numbers that were very small, or even negative — [meaning] that employment was promoted, because with people getting more income, they could demand more goods, and [that] actually helped employment. So what this showed is that the firms, when you raise the minimum wage, decided that actually, yes, it was worth the higher wage. Just go back to the story of Walmart and McDonald’s. … They raised their wage by a dollar. Did [workers] suddenly become 14% more productive? Obviously not. You could be sure that they [those companies] would not raise that wage if they were not making a profit at that margin. The idea of a monopoly in high tech is not seen necessarily as a bad thing. In fact, you have Peter Thiel saying monopolies are the only way to have lasting value. That was a view that was put forward, you might say in a more sophis¬ticated form, by one of the great economists of the early 20th century, Joseph Schumpeter. He was one of the few economists who focused on innovation. His argument says that there’s a succession of monopolists — you’re a monopolist for a while, but then it’s the competition to be the next monopolist that drives innovation. My book with Bruce C. Greenwald, “Creating a Learning Society,” looks at that question in some detail. And the answer is more mixed. Monopolies are not the major source of innovation, but they are very good at perpetuating their monopoly power. Probably Microsoft is the paradigm of this. They didn’t even innovate their own basic operating system. They bought that. They then were very innovative in devising ways of gaining monopoly power. The big innovations, like Real Networks, the browsers and the search engines, came from new entrants, not from the monopolists. And there’s always a worry that the way monopolists treat potential rivals — the way Microsoft squashed Netscape — actually discourages innovation. There has been a movement to give shareholders more of a voice. Is that part of the solution? How else do you get a handle on corporate salaries and unrestrained compensation? I think giving shareholders more of a voice is very important. And the fact that the CEOs resisted so much is a hint that they are worried. In Dodd-Frank, there was a provision for disclosure of CEO pay or top management pay relative to median worker income or mean worker income. Again, no binding effect, just a disclosure. And it’s been five years since Dodd-Frank passed, and the SEC has still not issued the regulations because of the strong opposition even to this mild disclosure. Now there have been [other] proposals that have been put forward — for instance, that the tax rate of corporations be related to the inequality in corporate pay. I think those are interesting ideas. There’s almost a mystique that surrounds CEOs, like Steve Jobs or Mark Zuckerberg, who take a very small amount of money and most of their compensation in stock. Some great fortunes have been made purely on equity. I don’t think anybody minds the transparent issuance [of stock], particularly for those who are really contributing. But even Steve Jobs illustrates, somewhat, the dishonesty. He and many other people were caught backdating [increasing the value of stock options by retroactively tying them to a date when the shares were less expensive than the one on which the options were actually granted]. Backdating doesn’t give you an incentive; it’s just a transfer of money.There has been an enormous amount of hanky-panky going on in stock options. One could design a good system of stock options. I would distinguish between new firms, which often are cash-short and don’t have any other thing, and existing firms, like GE, where the problem is not lack of cash. The real issue here is a lack of transparency. One last pulling-the-camera-back kind of question. To what extent does the effort to address inequality collide with the American notion that we’re a country of opportunity, not a country of guaranteed outcomes? I wish it were the case that America was the land of opportunity, but we have become one of the nations among the advanced countries with the least opportunity. In the United States, the life chances of young people are more dependent on the income and education of their parents than in almost any other advanced country. One of the statistics you note that’s even more disturbing is that a low-income person who does very well in school doesn’t do as well in life as somebody who is a high-income person who does poorly in school. Exactly. This means the deck is stacked against them. Do we want to leave it on that downbeat note? Well, I think that the final note of optimism, if I can, is that this is the first time I can remember that the issue of inequality has entered into the national political debate in both parties. There’s now a general acceptance that this is a problem. It is a problem not only of inequality of outcomes but inequality of opportunity. It seems that some Republicans, particularly Tea Party-influenced Republicans, are thinking about government as a source of crony capitalism, in kind of the way that you do, and are looking at how government has created the means for people in power to keep power. That’s right. There’s a sense in which, I think, they were fueled by what I view as the really wrong way in which we saved the banks in 2009. They saw that those who had brought the country to the brink of ruin were the ones who did well. Ordinary people lost their homes and lost their jobs. They were promised “change you could believe in,” and instead they got the old kind of system. To me, on a lot of these issues, there is a common understanding going on between the left and the right. The question is how we fix it. 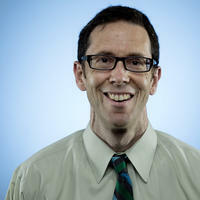 Jon Healey is an editorial writer and deputy editorial page editor for the Los Angeles Times. Why are working people falling behind? A leading UCLA researcher examines the causes of widening inequality.